Navpad Oli is starting from today. This is Chaitra Oli starting from Chaitra Shukla Saptami, March 22, 2010 and will prolong till March 30, Chaitra Shukla Purnima. Navpad Oli comes twice in a year, in Chaitra and in Ashwina. This is nine days Jain festival dedicated to Navpad alias Siddha Chakra. 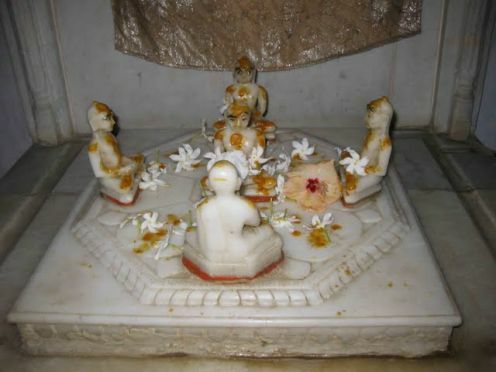 Jain people observe nine days Ayambil (A special type of fast) to offer their homage to Navpad (Siddhachakra), the nine ultimate virtues of the universe. Navpad or Siddhachakra has ultimate value in Jainism. Jain observes one pad each day, first pad on the first day, second pad on the second day and so on. Today, the first day is to observe "Arihant" pad.